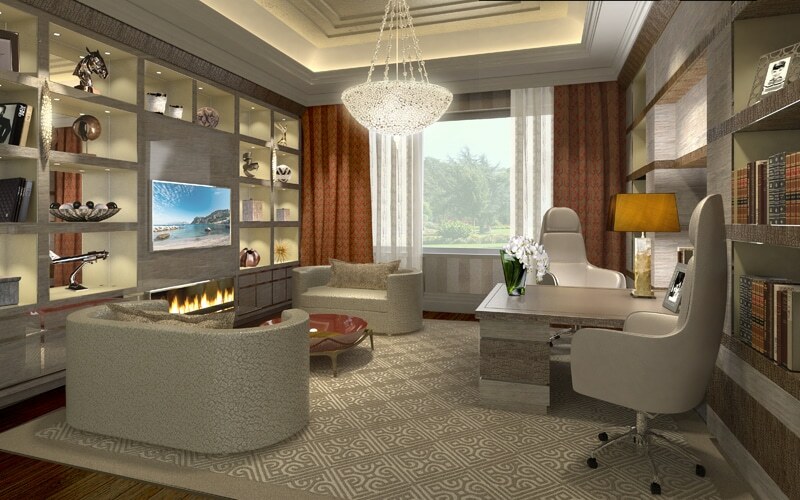 This week’s instalment of the #SBIDinspire series features Hill House Interiors, 2014 entry from the Visualisation category in the SBID Awards. 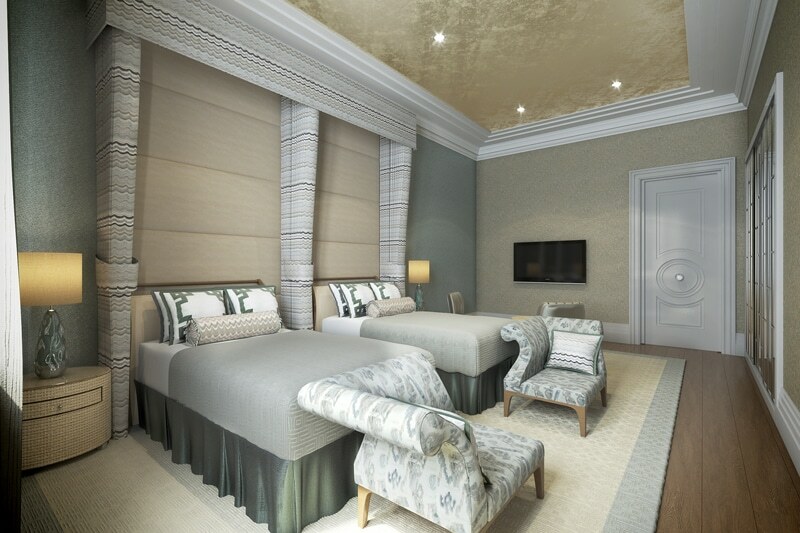 Hill House Interiors are behind the magnificent visualisation project for a stunning private villa in Almaty, Kazakhstan. 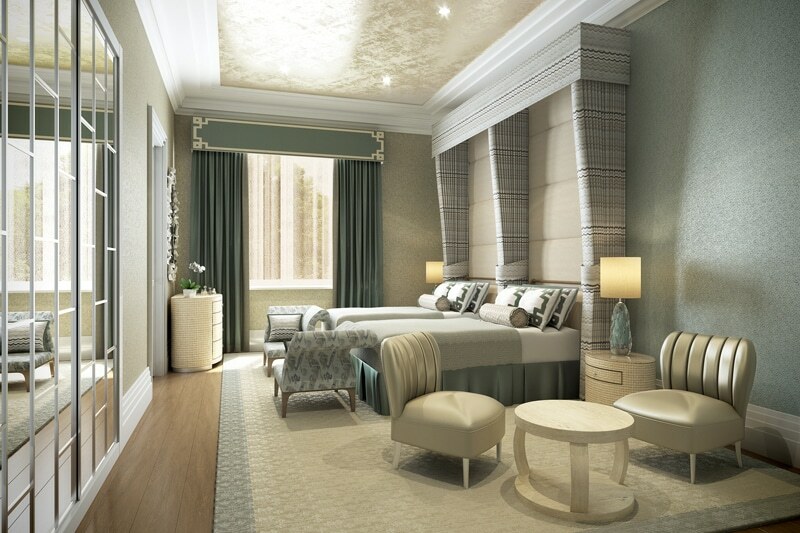 SBID had the opportunity to speak with Helen Bygraves, Co-Founder of Hill House Interiors. interviews the imaginative minds behind the project to give an insight into their creative process and how they tackled some of the industry’s biggest and best projects. 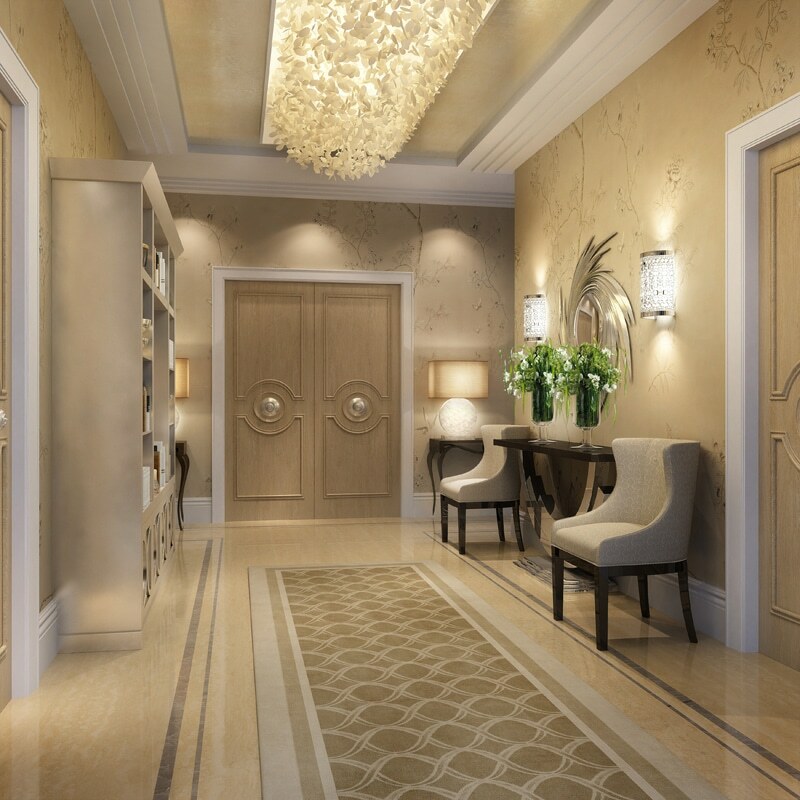 Being Kazakhstan royalty, the client wanted something truly bespoke, a luxurious, show stopping yet modern home in a classical contemporary style that really captured 21st century grandeur. 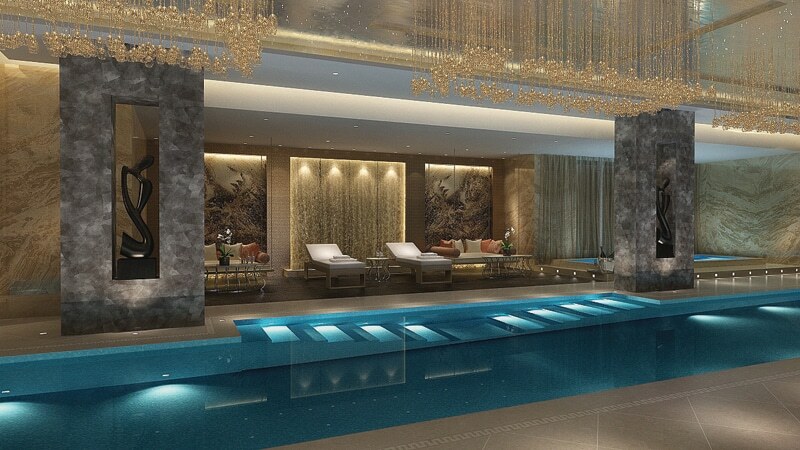 The focal points of the project, the spa and indoor pool were designed to be the ultimate private oasis, complete with hair salon, sauna, gym and massage room. 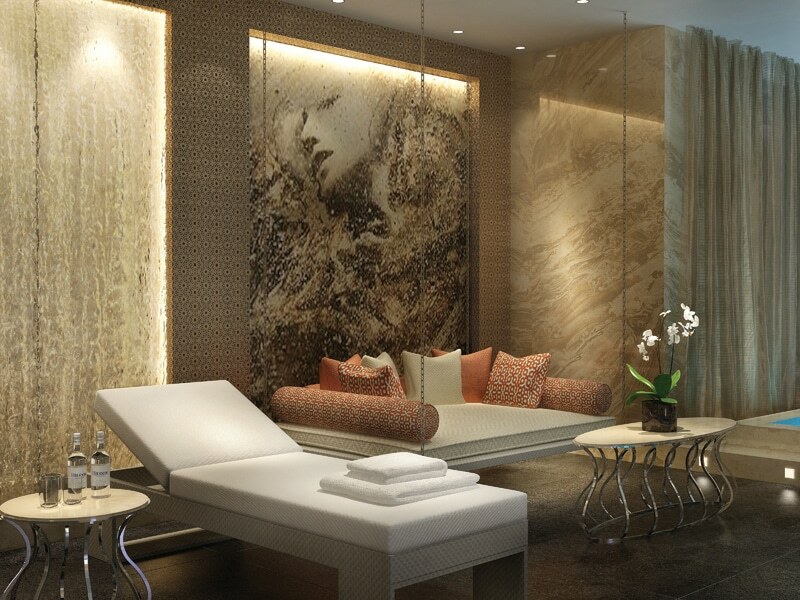 We often like to select one key piece to use as the starting point for each room, and particularly in the spa this came from the feature wall of hand crafted 3D resin, the work of a Miami based artist. 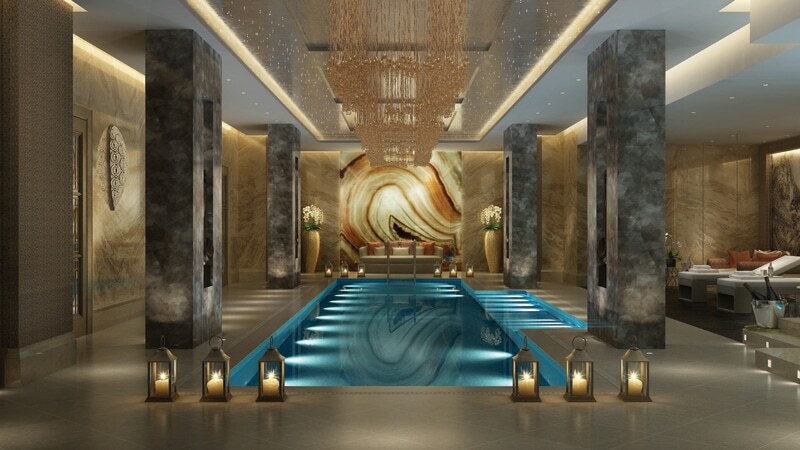 From this we selected Perlato Olympo marble wall coverings and smoky quartz pillars, before the additional artwork and floating chain swing chairs, which truly help to bring the concept together and create the ambience we were looking for. The sheer distance and frequency of visits meant considerable organisation was required to ensure everything was prepared in advance. Working abroad is always challenging, but interesting in equal measure, as we’re able to draw on inspiration from the landscapes and culture. We have our trusted black book of suppliers and contacts we use for the majority of projects, but we also like to use local businesses whenever possible! Spanning the length of the pool, a spectacular Sharon Marsden chandelier is set into a champagne metallic leaf finish ceiling panel. It incorporates over 1,000 shards of glass, embedded with fibre optics, and 3,600 hand blown glass clusters, in beautiful shades of amber – it’s something that’s completely unique and absolutely breath taking! SBID are incredibly prestigious and well respected within the industry, and their awards have the same reputation. 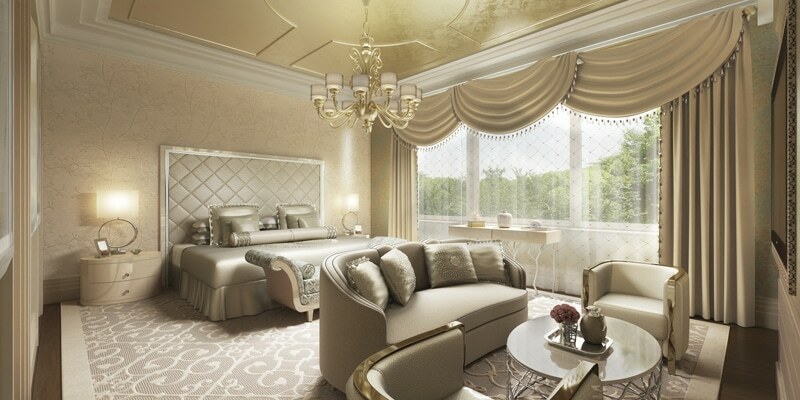 This project was one of our most unique, and the visualisation so detailed and in depth, we felt it was something that truly stood out as something special.